Wash artichokes under cold running water. Cut off stems at base and remove small bottom leaves. 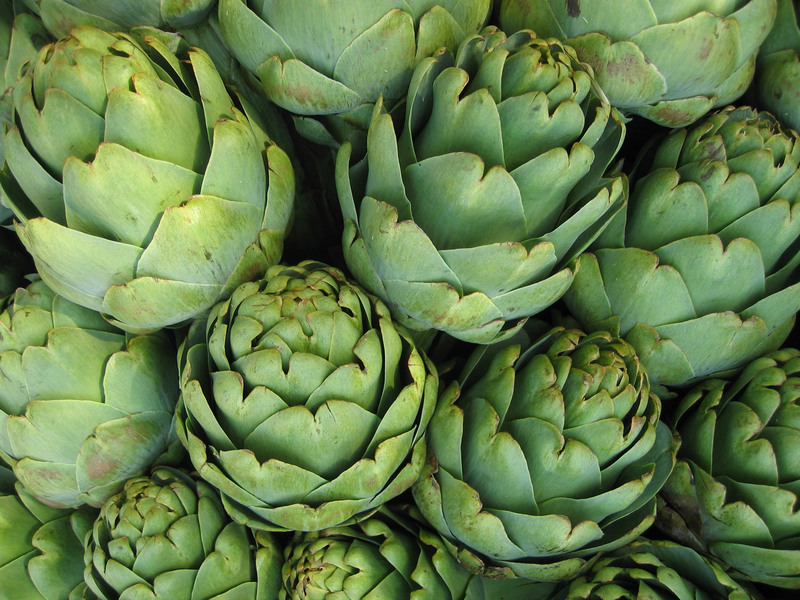 Stand artichokes upright in deep saucepan large enough to hold snugly. 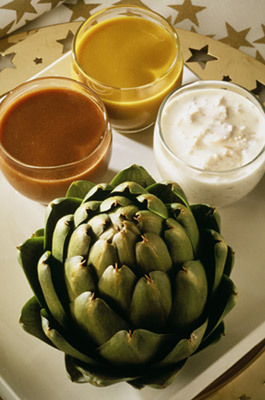 Turn artichokes upside down to drain. Cool completely; cover and refrigerate to chill. Combine all ingredients; mix well. Drain clams, reserving 2 tablespoons clam juice. Blend cream cheese with lemon juice and garlic salt. Stir in clams and reserved clam juice. Refrigerate until ready to serve.